Posted on Thursday, October 4th, 2018 at 7:35 pm. 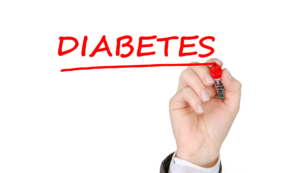 Diabetes is a disease in which your body’s ability to either produce or respond to the hormone insulin is impaired. This causes abnormal metabolism of carbohydrates and elevated levels of glucose (sugar) in both the blood and urine. More than 100 million adults in the USA have either diabetes or pre diabetes. Over 30 million Americans or 9.4% of the population have diabetes. Many people are not aware that they have diabetes. Most cases of type 2 diabetes. can be prevented. Diabetes-related complications can include blindness, non-traumatic amputations, and problems with your kidneys requiring dialysis. You are more likely to have type 2 diabetes if you are overweight. If you are a diabetic you should have a yearly dilated eye examination. Many people may be reluctant to come to an ophthalmologist because they think their medical insurance will not pay for the examination. Medical insurance will cover the eye examination. If we see changes in your eye from diabetes, Dr. Stanley Grandon, Dr. Cindy Wang and I may recommend special photographs of the back of the eye to determine the extent of the changes. We will also recommend more frequent eye examinations to monitor the diabetic eye changes. It is important to maintain regular follow up care. If your diabetic eye disease progresses, you may need treatments to help maintain your vision. Treatment may be indicated if you have swelling in the center of the vision (diabetic macular edema) or if you have blood vessels growing that are not supposed to be there (proliferative diabetic retinopathy). Treatment options may include injections of medications into the eye and/or laser eye treatments. The purpose of the treatments are to help you maintain your vision. If your diabetic retinopathy is not adequately treated, you could loose your vision. Diabetes can cause permanent blindness. Posted on Monday, July 11th, 2016 at 9:40 pm. In 2012, 29.1 million Americans, or 9.3% of the population, had diabetes. According to the American Diabetes Association, 1.4 million Americans are diagnosed with diabetes every year. At the Eye Surgery Institute we recommend a dilated eye examination at least yearly in all diabetic patients regardless of symptoms. Diabetes can affect the whole body, including the eye. The eye disease is called diabetic retinopathy. Diabetic retinopathy is one of the leading causes of preventable blindness. It is the leading cause of blindness among working adults. Controlling your blood sugar can prevent and/or delay the onset of the effects of diabetes in the eye. Regular dilated eye examinations are very important to screen for and detect the effects of diabetes in the eye. Early diagnosis and possible treatment are essential for diabetic patients to maintain their vision. Diabetic retinopathy occurs when the normal blood vessels in the back of your eye start to leak. This occurs from high blood sugars. Diabetic retinopathy occurs in stages from mild to moderate to severe and then to proliferative. Proliferative diabetic retinopathy is the most advanced stage. Tiny, fragile, abnormal blood vessels grow and can rupture and cause bleeding into the eye. Sometimes, scar tissue can develop that can contract and possibly cause a retinal detachment. The macula is the area in the back of your eye that provides your central vision. Diabetic macular edema occurs when fluid builds up in the macula. This can cause distorted or blurry vision. Diabetic macular edema can occur at any stage of diabetic retinopathy. 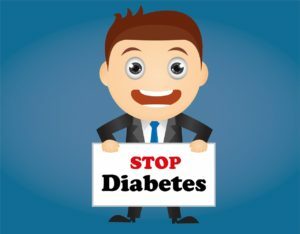 The effects of diabetes in the eye are diagnosed with a comprehensive eye examination including checking the visual acuity, dilation to evaluate the back of the eye (retina) and often an OCT image of the retina. Depending on necessity, other tests may be recommended also. At the Eye Surgery Institute we commonly use a fluorescein angiogram to help detect the signs of diabetic retinopathy. Diabetic retinopathy and macular edema can be treated with injections into the eye and /or laser treatment. Often it needs to be treated with multiple treatments over time. It is important to maintain good control of your sugars to decrease the effects of diabetes in the eyes.